Feeling a bit tired? Are you yawning a lot? Those eyelids feeling a tad heavy? Then maybe you shouldn’t get behind the wheel of your car. Avoid drinking and driving. Not only is it illegal, about drinking usually leads to fatigue. Before taking a long road trip, make sure you get at least 7-9 hours of sleep. If you take medications that cause drowsiness, try to use public transportation. 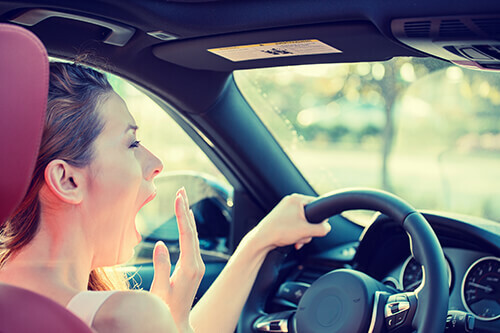 Or consider avoid driving during peak sleepiness periods (midnight to 6 a.m. and late afternoon). Stay vigilant for signs of drowsiness. If you feel your eyelids start to close, pull to the side of the road, get some coffee, and take a 20-minute nap. Even a short nap can increase your alertness. But what happens if you do get into an accident with a drowsy driver? Then you contact the Houston car accident lawyers at de Lachica Law Firm, PLLC, and will assist you in getting the compensation you deserve for your injuries. Call us today for a free consultation.